San José, Ibiza. Situated 5 minutes from San Antonio with a charming vine-covered terrace and quiet country landscape or alternatively, inside with bar and dining rooms. Treat yourself to some authentically delicious Ibiza cuisine and sample some of the chef's old family recipes. Situated 5 minutes from San Antonio with a charming vine-covered terrace and quiet country landscape or alternatively, inside with bar and dining rooms. Treat yourself to some authentically delicious Ibiza cuisine and sample some of the chef's old family recipes. Sa Soca, meaning ‘The Tree Trunk' in Ibicencan, is a charming, rustic style restaurant for traditional Ibicenco recipes. Situated 5 minutes from San Antonio and run by a local family for many years, it offers a warm welcome and an attentive, personal service. It is popular with both locals and visitors for its authentic family recipes. The flavours of slow cooked shoulder of lamb, rabbit stew, fried squid and mixed grills together with specialities of paella, fish stew, are renowned. 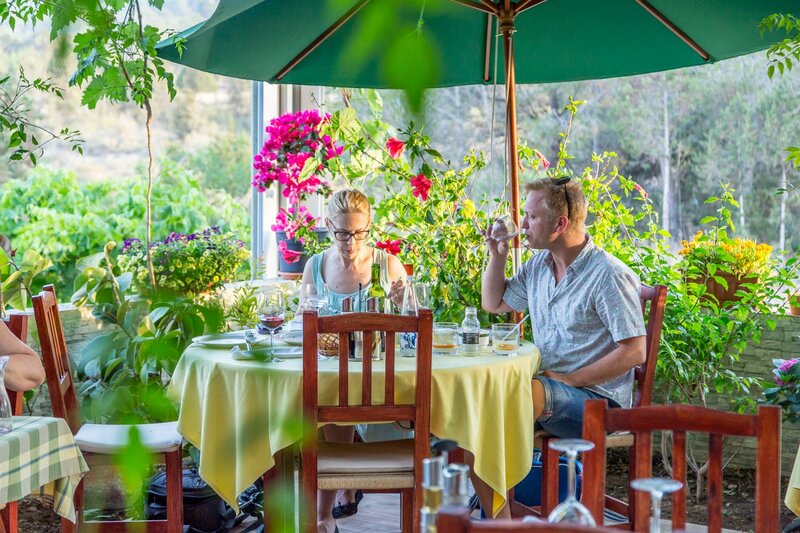 The pretty terrace, overlooking the countryside and shaded by a canopy of vines and flowers is perfect for a romantic meal on a summer evening. In the cooler winter months the log fire invites comfortable dining in the quaint interior. Sa Soca opens from February to November (closed Mondays) from 19.00. Week-end it opens for lunch at 13.00 with a special lunch menu and evenings. Credit cards (except American Express) accepted. Call us on (+34) 971 34 16 20 or send a booking request below.